The facility with which they adapt to the space and get installed (square, rectangular, in “L” shape, etc) is their fundamental advantage. 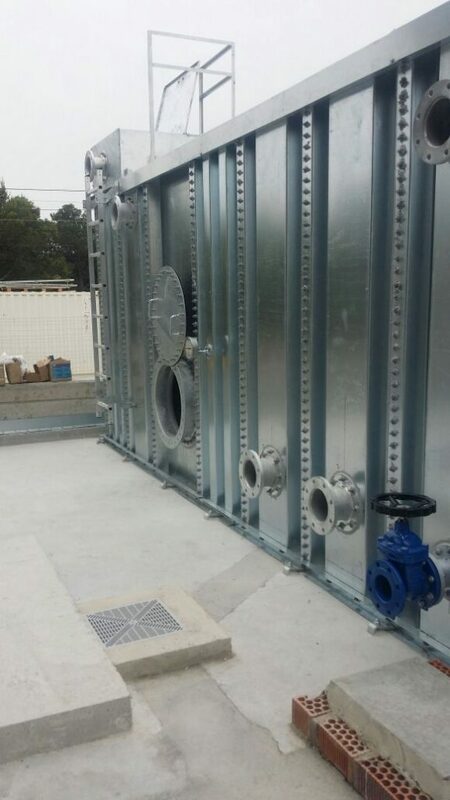 They also help to avoid installing columns or these ones could be installed inside the tank. There are perfect for garages, boiling rooms, flat roofs… . They help in getting the maximum capacity within minimum space. They consist in a unique folded iron panel of 2,5m height for 1m length. Depending on their dimensions, the tanks are reinforced internally with tensors or transversal belts. The material specifications are the same than for the cylinders.